Are you challenged with expanding pharmacy services to execute strategic initiatives while controlling labor costs? As pharmacy continues to play a strategic role in hospital initiatives and the need for pharmacists to expand their role in working directly with patients; providing a clinical review of medication orders prior to patient administration remains a challenge. 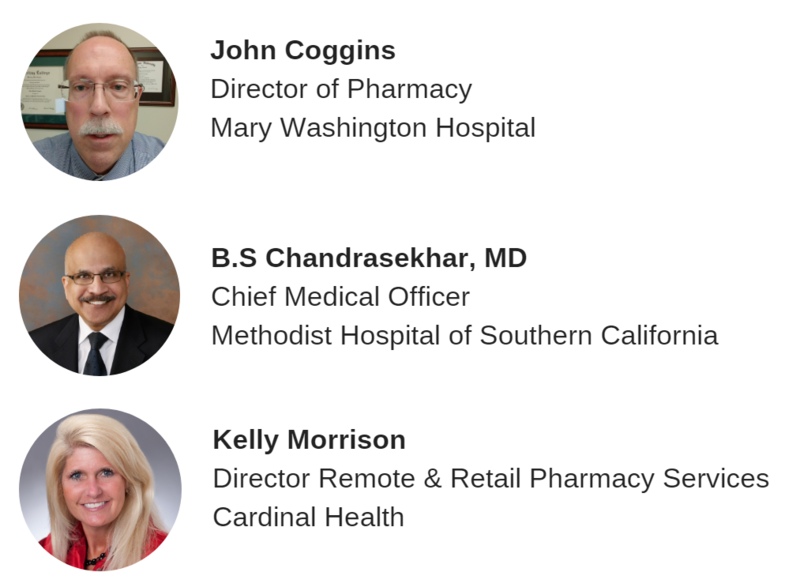 In this webinar, you will learn how other hospitals have leveraged remote pharmacy services both short and long term to reallocate staff to focus on key hospital initiatives while maintaining a timely clinical review of all medication orders. Learn how 2 hospitals have expanded pharmacy’s reach in supporting key clinical initiatives that elevate patient care.